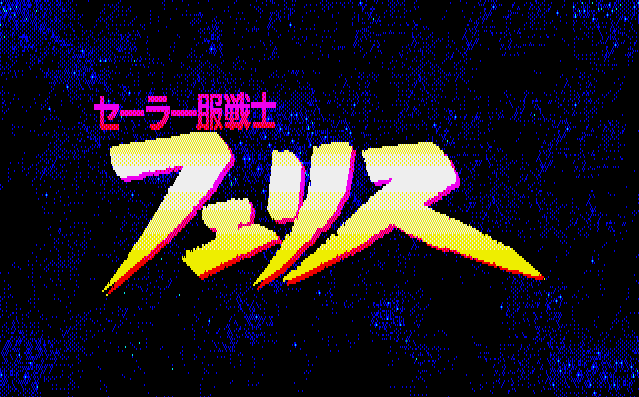 A shoot 'em up where you control a female pilot out to rescue her three friends from alien captors. You get a pic of the main character in increasing stages of undress (with later levels) when you lose, or pictures of the girl she's rescuing when you win. 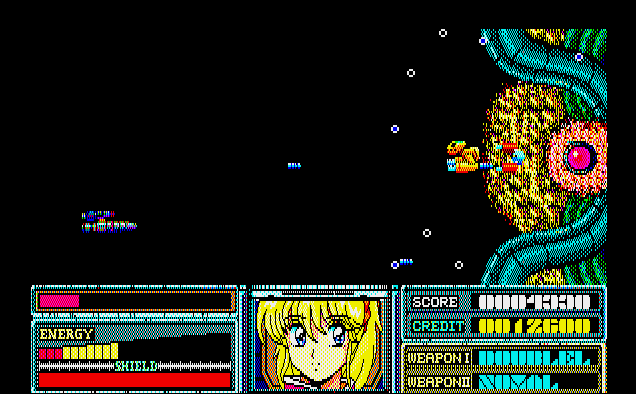 This game features a main ship weapon that is borderline useless, higher ship survivability than usual, and ordinary projectiles home in very well on you. 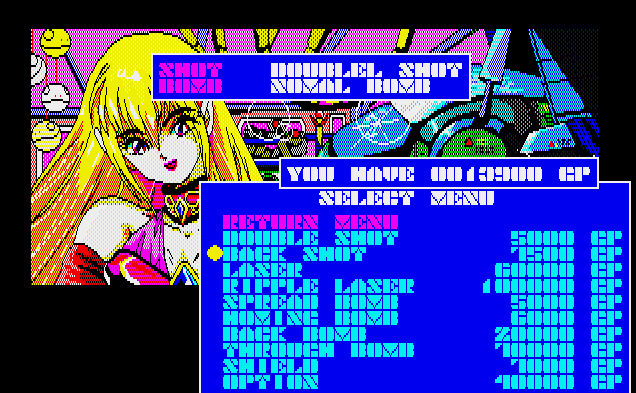 I'm not entirely convinced this game wasn't made as an attempt to embody the worst elements of all Shoot 'Em Ups.